Financing is available through “CareCredit”, a Synchrony Bank Company. * To pre-qualify for credit, click on the link below and complete their on-line application form. “CareCredit’s” approval response is provided quickly. Some practices require a minimum treatment fee to use this service. 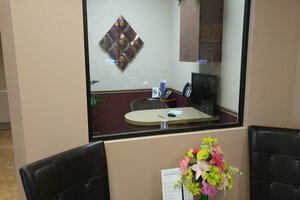 Please contact the practice you would like to visit for more information regarding their specific “CareCredit” policies. Click here to apply for “CareCredit”. Be assured you will save money by filing your claim yourself. Our fees are so low, the total cost for the services you will receive at this location are likely less than the co-pay you will be required to pay at most other general dentistry practices. The practice staff can help you calculate the costs so you can make the best decision.